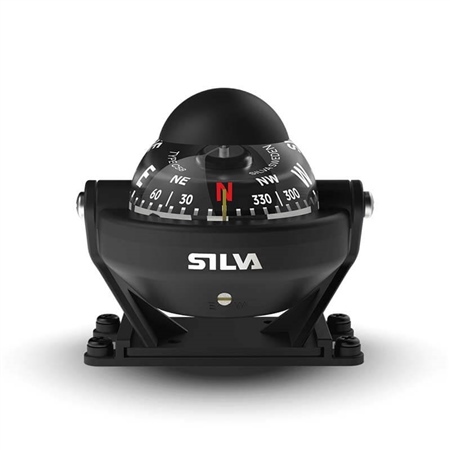 Steering compass that can be mounted on almost any vehicle or boat. Ideal for small power boats or cars the built in compensator handles large errors (up to 40º). It is supplied with illumination and a bracket that can be mounted on any surface. Please note, this product may come branded as Garmin or Silva depending on stock available.